At PEC our goal is to get you back to what you enjoy doing without limitations. Our PT's help you move beyond your current injury so you can take your health, sports performance and fitness to a higher level. This is what makes us different from other physical therapy centers. We are here for you every step of the way-even after treatment has ended. Our physical therapists understand the importance of education; they will teach you what caused your condition and how to prevent it from recurring. The AlterG Anti-Gravity Treadmill is the latest upgrade in treadmill technology. Check it out! The Selective Functional Movement Assessment (SFMA) is a series of 7 full-body movement tests designed to assess fundamental patterns of movement such as bending and squatting in those with known musculoskeletal pain. When the clinical assessment is initiated from the perspective of the movement pattern, the clinician has the opportunity to identify meaningful impairments that may be seemingly unrelated to the main musculoskeletal complaint, but contribute to the associated disability. This concept, known as Regional Interdependence, is the hallmark of the SFMA. The assessment guides the clinician to the most dysfunctional non-painful movement pattern, which is then assessed in detail. This approach is designed to complement the existing exam and serve as a model to efficiently integrate the concepts of posture, muscle balance and the fundamental patterns of movement into musculoskeletal practice. By addressing the most dysfunctional non-painful pattern, the application of targeted interventions (manual therapy and therapeutic exercise) is not adversely affected by pain. SFMA offers doctors and physical therapists a new approach to the treatment of pain and dysfunction. Our standardized clinical model ensures isolating the cause of injury and efficient care. 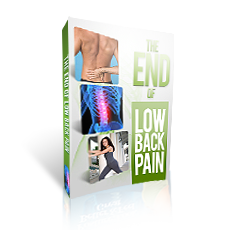 Free Report Reveals "How To End Low Back Pain"
Copyright © 2019 Performance Enhancement Concepts, all rights reserved.